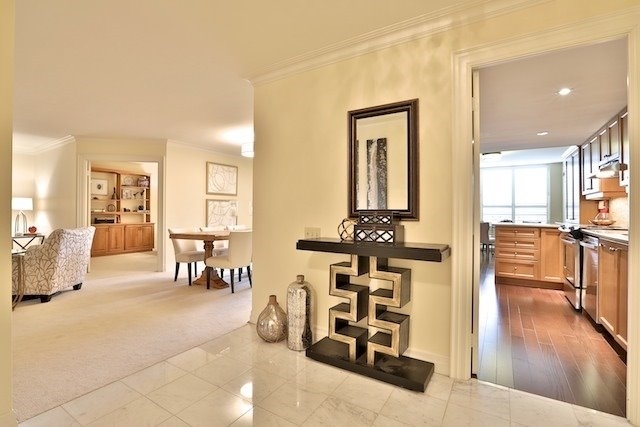 The Muir Park Residences Is A Building Of Wonderful Units And Even So, #205 Is Exceptional! The Brilliant Split Bedroom Layout Maximizes The Space To Feel Even Larger Than Its 1972 Square Feet (Per Floor Plans): Huge Principal Rooms, Renovated Kitchen With Sunny Breakfast Area Perfect For Morning Coffee, Sitting Room, Master Bedroom With Spacious 4 Piece Ensuite, Lovely Second Bedroom With Gleaming 3 Piece Semi-Ensuite. All You Need To Do Is Unpack! Inclusions: Other Perks: Spectacular Park Views, Parking And Locker Both On Level 2 With Access Across The Hall From The Suite. Additional Parking May Be Available For Rent.